The following list* of 54 must-see attractions in Japan, spanning 34 prefectures was published on a Japanese social site. For simplicity, they have been ordered into their respective prefectures from northeast to southwest Japan. Let’s take a look at what locals consider worthwhile visits! 1. Soya Cape (宗谷岬 – souya-misaki) – The northernmost point in Japan. The monument has an inscription saying just as much. 2. McDonald’s No. 40 Wakkanai Store (マクドナルド40号稚内店) – The northernmost McDonald’s in Japan found in the northernmost city. Take a pic with the most famous clown in the world. 3. Mikuni ridge (三国峠 – mikuni-touge) – Not to be confused with the ridge of the same name in Gunma, this ridge in Hokkaido features a national highway which reaches a max elevation of 1,139 m – the highest in the whole of Hokkaido. Lush green vegetation in summer and charming yellow leaves in autumn. 4. 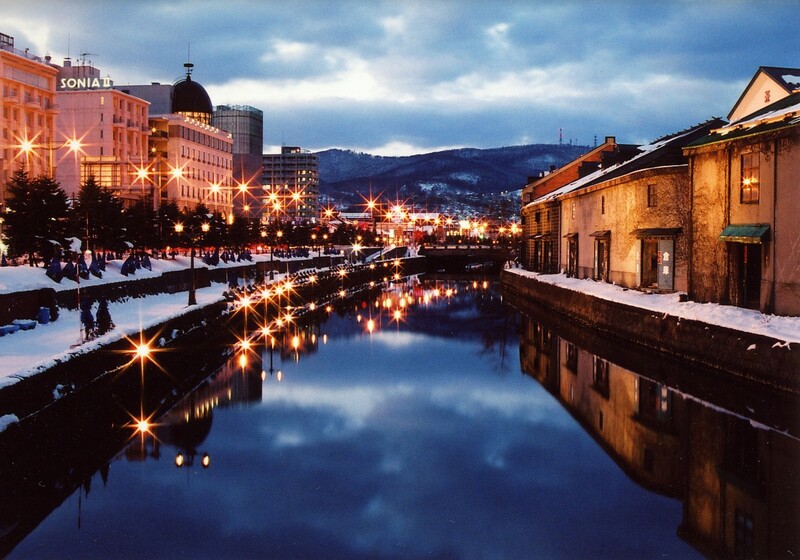 Otaru Canal (小樽運河 – otaru-unga) – A 20-40m wide canal spanning over a kilometer and lined with 63 Victorian-style street lamps in Otaru. 5. Goryokaku Park (五稜郭公園 – goryoukaku-kouen) – This park features a western-style fort which was the site of the Battle of Hakodate. The park is also known for the numerous cherry blossoms along the moat of the fort. 6. Hotoke-ga-ura (仏ヶ浦) – A stretch of massive rock cliff formations spanning almost 2 kilometers on the western coast of the Shimokita Peninsula. 7. Koganezaki Furofushi Onsen (黄金崎不老不死温泉) – This open-air hot spring of ‘perpetual youth and longevity’ features reddish-brown waters and overlooks the Sea of Japan.